Sri Aurobindo’s youngest brother Barindra Kumar Ghose (5 January 1880 — 18 April 1959) was a noted revolutionary of the Swadeshi movement. Convicted in the Alipore Bomb Trial, he was sentenced to transportation for life in the Andaman Cellular Jail. Soon after his release in January 1920 courtesy an amnesty granted by the Government of India he went to meet Sri Aurobindo in Pondicherry. From August 1923 to December 1929 he remained at Pondicherry under the spiritual aegis of Sri Aurobindo and the Mother. Though Barindra Kumar is also known for his books in Bengali and English, the fact that he was also a painter is not known to many. Today we are taking the opportunity to share with you three paintings of Sri Aurobindo and the Mother made by Barindra Kumar. I think in the middle photo Barin got something of Sri Aurobindo. Very remarkable. … and thanks for posting these. Thank you so much for sharing this paintings. 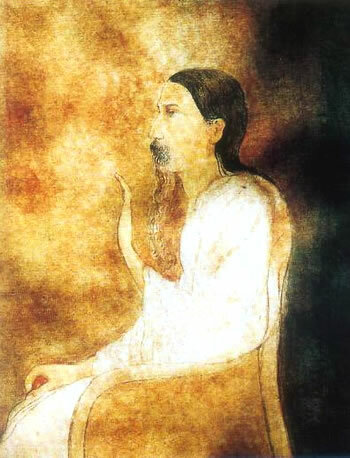 There is a psychic touch in his vision and expression that reminds of some of Abanindranath Tagore’s masterpieces : I wonder when and where did he acquire such mastery in his technique. Beatific .. these paintings are infused with the glow of the Psychic and something more which is indefinable ! When did he actually make these paintings ? Any dates are given ? The style is definitely Indian – to look for the inward Spirit. Has he or Sri Aurobindo said anything about Mother’s paintings ? ‘Painting stills the emotions, ‘ and these paintings do fulfill that basic condition. Very interesting and revealing ? Did not know that Barindra was a painter too! 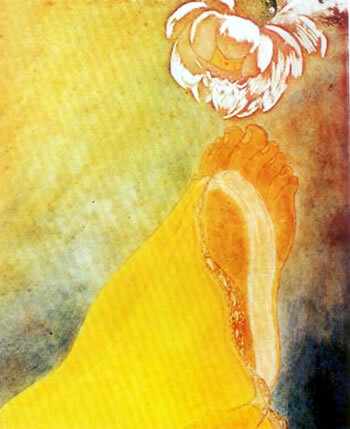 Thanks for the great effort to dig out the best paintings on Sri Aurobindo. Few of my thoughts are, by the Grace of Her–automatically transmitted to you. My love and deep gratitude. I find in you the blossom of the energies of my thirties. This is indeed a treasure to cherish for ever. Thank you very much. Thanks for posting these paintings. Thanks for sharing such wonderful paintings! this is indeed to chersih! again thanks for the same. Thank you so much for sharing these rare and amazing masterpieces. I am sure there must be many more magnum opus. Thank you for sharing these rare paintings of Sri Aurobindo and the Mother by Barindra Kumar Ghose. They are wonderful and touch something within us. Something so soft and sweet in the paintings… yet indomitable, powerful… . The first one feels like one huge embrace of the universe. no bar or barrier …there is a place for all in his bosom … a freedom is given to enter …The second – the surrendered lotus at Her feet, given, offered, prone, speaks something of artist’s state as well …. beautiful. The second one – Light, Light where He casts his glance …. All of them, irresistable. Captured something deeply special …. Excellent! This in fact seems to contradict the fact that the same Barindra could leave the Ashram after developing some difference of opinion with the Master and the Mother, and rather helps us overcome that nagative experience. This sharing is one of the best activities of Overman Foundation. Can you share some photos of Bharat Brahmachari whose desciple Yogadananda later became an Ashramite? I asked for that even at the Ashram archives but was told it was not available. the pictures are a Divine-touch. thank you sir for this kind Anugraha. These are indeed beautiful paintings. Thanks for sharing. really beautiful paintings show unknown side of Barin da. thanks for sharing. Grateful for these rare paintings. Thank u for sharing these beautiful paintings. Hope to receive more information in future. Thank u for sharing these paintings. 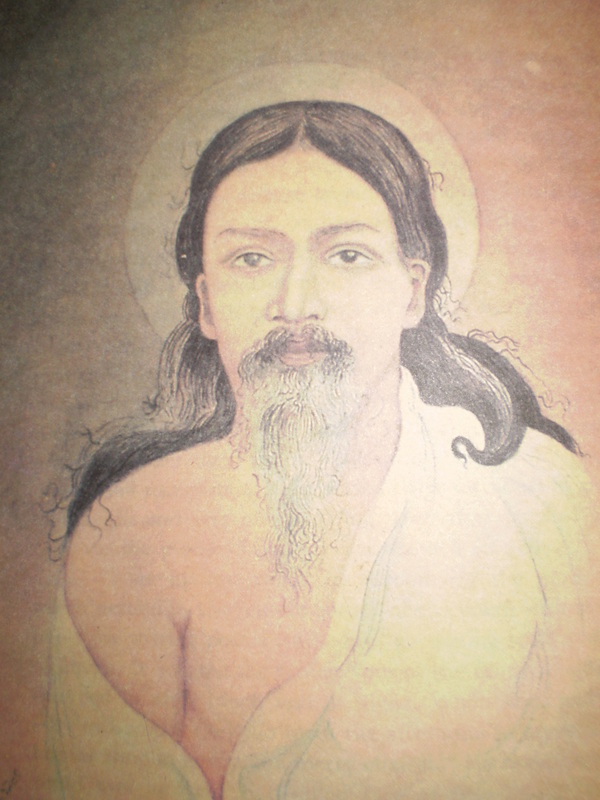 Adbhutam drusyam . Darsanena visesha anubhutihi.atah etani bhavachitrani . Were these published anywhere? I mean, how were these attributed to Barin Ghose? There is some evidence that he could paint.